Hello! Sumi again. I am going to hold MiniMini exhibition at Kutsukake terrace,nakakaruizawa. 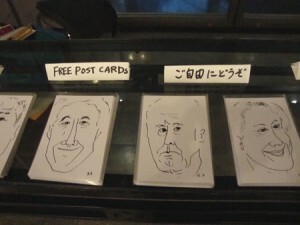 One thing new this time is I tried to make black and white prints out of my face enlarged postcard siza to A4. Looks different and hope you will enjoy them. Free post cards are on the shelf of information corner toward library. Place:Kutsukake Terrace within Nakakaruizawa Station Premises.